Looking more like a stylised image than an actual clock itself, the Focus Clock cuts telling the time down to its absolute bare essentials. Such a unique design is guaranteed to attract the admirable glances of all those that visit your home. 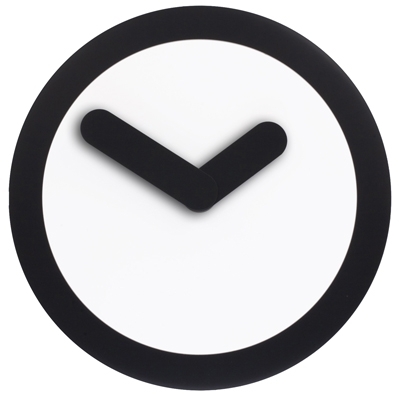 The really clever thing about this clock is that the circular border is actually a pendulum and rocks left to right whilst the hands remain stationary – the effect has to be seen to be believed! 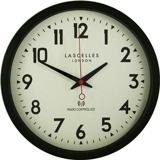 A thick black circular band delineates the outer edge of the clock, with the hands echoing the line in both gauge and colour. 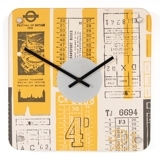 There’s nothing much else we can say about this designer clock, as the beautifully simplistic design speaks for itself!